The search for happiness and well-being is ages old. In this modern era, we often look to scientific research to find answers to the mysteries of our existence. In study after study, scientists have tried to uncover the key elements of a happy life. 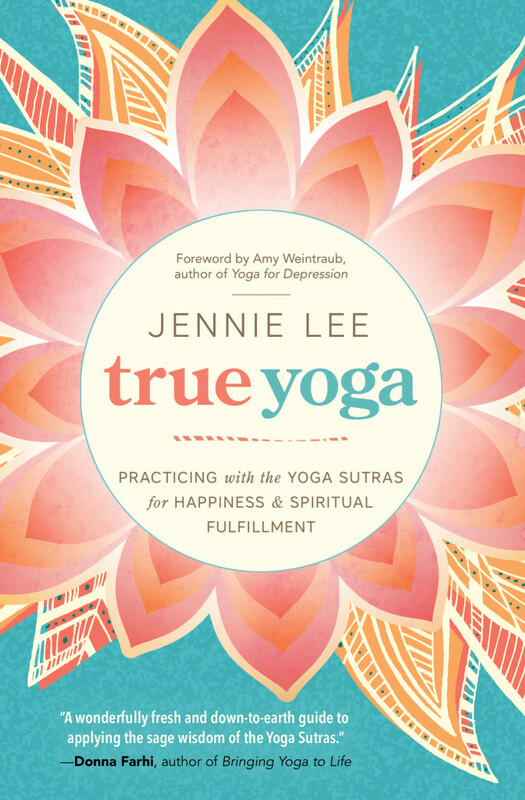 Jennie Lee proposes in her new book True Yoga (Llewellyn 2016) that instead of looking to the modern marvels of technology and science to increase well-being and find true happiness, we should look to the past. She believes the secrets to finding joy and peace lie within the pages of a text thousands of years old. True Yoga is an exploration of the Yoga Sutras, written by an Indian sage named Patanjali about two thousand years ago. Lee explains that “the word sutra means to ‘string or sew,’ and indicates a thread of universal wisdom on which teachers would add their beads of interpretation or expansion, depending on the time, culture, and needs of their students.” Lee has now contributed her unique beads to this long tradition of Sutra interpretation. According to Lee, the Sutras are not a static, scholarly text, but rather a “living scripture” meant to be interpreted through the lens of one’s own life. Her book is not intended to be yet another academic translation of the Sanskrit text. Instead, it takes a look at how the Eight Limbs of Yoga described in the Sutras are relevant for today’s modern practitioner as a guide to finding happiness and harmony. Lee’s authority on this topic comes both from her work as a yoga therapist and her personal experience of living Patanjali’s philosophy. During her 17-year career as a yoga therapist, Lee has used the principles found in the Sutras to help her clients deal with many challenges: anxiety, depression, grief, post-traumatic stress, attention deficit issues, eating disorders, and challenging relationship dynamics. Lee’s analysis of the Yoga Sutras is based on five different translations of the original Sanskrit text. She includes a brief history of yoga philosophy and explores its origins in the works that preceded the Sutras: the Vedas, the Upanishads, and the Bhagavad Gita. The earliest of these works was written about 5,000 years ago. Lee claims that the most important ideas from these works were then compiled and synthesized by Patanjali in the Yoga Sutras approximately 2,000 years ago. Fast forward thousands of years to the present day, and True Yoga illuminates these age-old teachings in a way that makes them accessible for today’s yoga practitioner and relevant to modern, everyday existence. By drawing on real-world trials and tribulations, Lee brings the Sutras to life. She explores how they might help with the tedium of sitting in traffic; the sensory overload from too much time on the Internet; the breakup of a marriage; or the stress and tension of raising a family while working full time. Each chapter begins with a translation of the Sutra and then delves into an explanation of how it applies to normal, modern, everyday life. At the end of each chapter, daily practices, self-inquiry questions, and affirmations are listed. While the practices and questions were interesting ways to encourage the reader to explore the application of the Sutras into his or her own life, the affirmations felt out of place in a book about yoga philosophy. They strayed a bit too far from classical yoga and instead ventured too close to the realm of modern self-help. It’s easy to glean from Lee’s heartfelt description of each Sutra that she has gone beyond mere study of the Sutras to actually incorporate them into her life, and her commentary seems to spring from this. But it’s only in the very first and very last few pages of the book that she allows herself to be truly vulnerable by sharing explicit details of her story. In the first few pages of the introduction, she divulges that she began studying the Sutras at a low point in her life. This became a major turning point for her as she discovered “the full teachings of true yoga and how the headstands and downward dogs [she] loved were connected to this amazing science of happiness.” In the epilogue, she lovingly describes how she turned to the lessons of the Sutras to cope with the decline and eventual death of her mother. These moments were by far the book’s most touching and intriguing. Rather than using her personal story to bookend the rest of the text, how illuminating it would’ve been to see her experience woven throughout and to learn how each Sutra guided her through the vicissitudes of her own life. Despite this, Lee has offered her readers a very honest, earnest and heartfelt exploration of the Eight Limbs. It is a lovely and worthy addition to the canon of books about the Yoga Sutras. 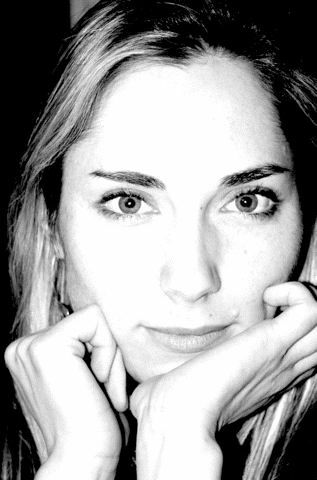 Enjoy more insights into the Yoga Sutras with YogaUOnline and writer, Christine Malossi. Study yoga on and off the mat with YogaUOnline and Judith Hanson Lasater: The Maturing Yogi - Evoking Peace and Contentment in Our Maturing Practice.